The state of Kansas represents the center of the true Midwest, literally sitting in the center of the country geographically. The state has an ancient history of being home to dozens of native tribes that migrated across the territory long before Europeans arrived to settle the area. Kansas also has a strong history with the Buffalo, with history records reflecting the migration of thousands of animals in years past across Kansas plains. Those plains were eventually converted to farm land, making Kansas today one of the biggest producers of wheat, sunflowers and sorghum. Kansas has a significant amount of its population living in urban centers like Topeka rather than the country side. This has made the state fairly light on population in the rural areas. As a result, folks relocating to the state will find both booming cities as well as small towns in the countryside seeking new neighbors. The state of Kansas is home to nearly 2.9 million Americans, making it the 34th most populated state in the union. By total area, however, KS ranks 15th largest in the US. The state economy produces about $125 billion annually, and per capita income is around $35,000. The KS economy is reliant on agriculture, oil & natural gas production, and aerospace. The largest employers are Spirit AeroSystems, Sprint Nextel, and General Motors. As of this writing, the average sale price in Kansas is a little over $170,000. The most expensive city in IA is Leawood, followed by places like Overland Park and Lenexa. The least expensive are Kansas City, El Dorado, and Topeka, where the median sales price is anywhere from $70,000 to $120,000. For those looking to raise a family, the website Nerd Wallet ranked Andover and Hayes as the two best cities in terms of schools, affordability, and vibrancy. Wichita is the biggest state in KS and the 49th biggest in America, and the metropolitan area is home to over 650,000. The city is a hub for the aircraft industry, with companies like Boeing and Spirit AeroSystems operating factories. Fans of fast food will be interested to know that White Castle was founded in Wichita. After manufacturing, the largest industry in the city is healthcare. Home to the headquarters of Sprint, the giant telecom firm, Overland Park is the second largest city in Kansas. The local economy is reliant on services jobs, and the city is home to companies such as YRC Worldwide, Ferrellgas, and Compass Minerals. Overland Park is an affordable city with a below average cost of living, and if you're looking for a city in KS, it's worth a look. Kansas City, KS, often referred to as KCK, is part of the Kansas City Metropolitan Area, which is actually centered around Kansas City, Missouri. Major employers in the city are the University of Kansas Hospital, GM, the public school system, and BNSF Railway. Topeka, the capital of KS, is also known within popular culture as the home of the landmark Brown v. Board of Education legal case that overturned segregation in American public schools. The state government is a major employer within the city, and about 20% of the population is employed by the public sector. Finding the right bank can be crucially important. If you're new to Kansas, you'll want to pick a financial institution that is convenient and offers you competitive interest rates. If you've been living in this midwestern state for a while, shopping around could help you get a better deal. Most of your options for banking within Kansas will be local banks and credit unions, but there are also a few national chains as well. RateZip.com can help with purchases, giving buyers key insights on lending rates for the region from participating lenders and banks. The state of Kansas has become a hotbed for mortgage banking over the past 20 years. Today, the state is home to Capwest Mortgage and Mortgage Lenders of America, along with many other mortgage bankers. If you're searching for a home loan or looking to refinance, you'll want to explore your options to find out which loan type best suits you. The most common type of mortgage is a fixed rate loan, which typically comes in 15, 20, and 30 year varieties. An adjustable rate mortgage (ARM) begins with a low teaser rate, and then adjusts annually to a market interest rate. 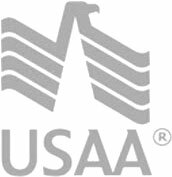 There are also government loans such as FHA and VA mortgages, which are sponsored by the Federal Housing Authority and Veterans Administration, respectively.